1. New Mexico is wine country. And it is good wine. Franciscan García de Zúñiga and a monk named Antonio de Arteaga started growing wine grapes along the Rio Grande around 1629. By the late 19th century, New Mexico was the wine growing region in the United States, producing over a million gallons each year. These days, nearly 50 wineries dot the landscape, and many of the wines produced here are award-winning and well worth your time. 2. Taos Pueblo has been inhabited for over a thousand years. For at least 1,000 years, the people of Taos Pueblo have lived in their surreal, multi-story-apartment-like town. Human habitation of the area dates back perhaps 5,000 years, but it wasn’t until around 1,000 AD that the current adobe dwellings were constructed by two different groups of Tiwa peoples who came together to build the still-thriving community. 3. New Mexico has more PhDs per capita than any other state. We’re a smart bunch here in the Land of Enchantment. The state is home to more PhD holders per capita than any other state in the country. Why? The government. Albuquerque hosts Sandia National Laboratories and a number of other research facilities. Then there’s Los Alamos National Laboratory, Intel, and several land management agencies including the Forest Service and National Park Service. And don’t forget that Microsoft was famously established in an Albuquerque garage. 4. Santa Fe is the nation’s highest state capital. Denver might be the Mile High City, but it ain’t got nothing on Santa Fe. At 7,199 feet above sea level, our capital city — home to an unparalleled arts scene, killer cuisine, and a visual vibe you won’t find anywhere else in the US — is the highest in the nation. 5. You can see five different states from the top of Capulin Volcano. 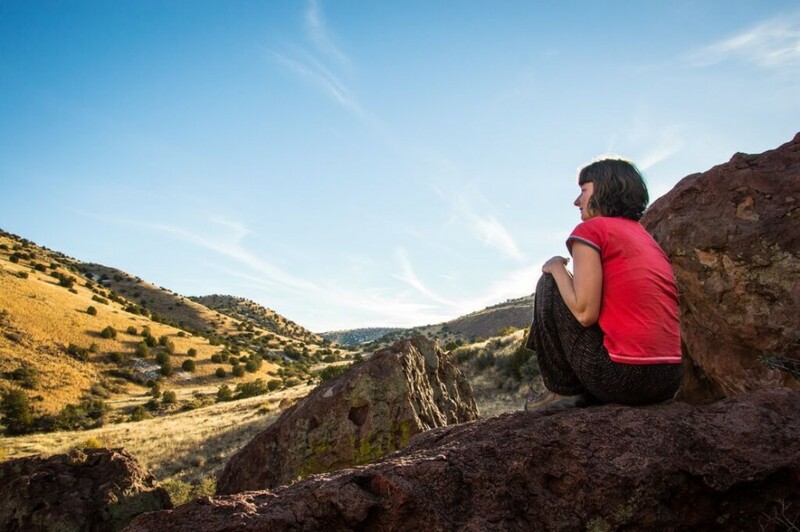 Capulin Volcano National Monument towers over the edge of the Great Plains in the northeastern corner of the state. An extinct cinder cone volcano, the formation once served as a landscape marker on the Santa Fe Trail. Today you can drive to the top of the 8,000ft cone for one seriously stunning view that takes in Texas, Oklahoma, Kansas, and Colorado, in addition to New Mexico. 6. 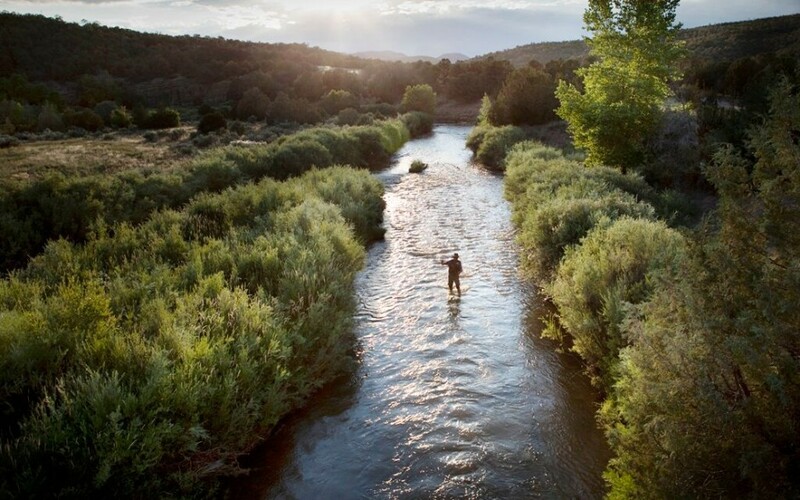 New Mexico is more than desert. 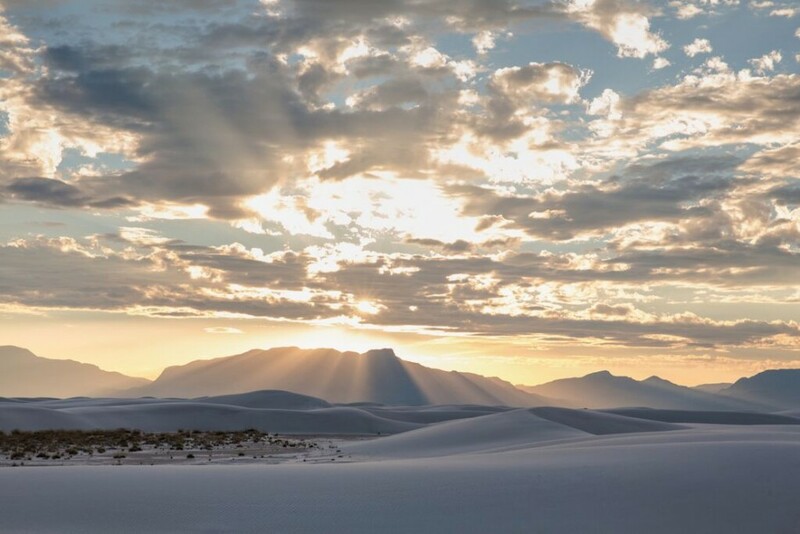 New Mexico can proudly claim one of the most diverse landscapes in the world — with a range of incredible outdoor adventures to match. We sport snow-capped 13,000ft peaks dressed in pines and spruce. We have brilliant wildflower fields and jungle-like riparian forests of towering cottonwoods. We have white sand dunes and vast expanses of prairie. Truth be told, there is no one thing New Mexico looks like. Except awesome. 7. Santa Fe was founded 10 years before the Pilgrims landed at Plymouth. While we typically think of the founding of America dating to the time of the Pilgrims, the Spanish were in New Mexico long before the Mayflower bumped up against that Massachusetts rock. 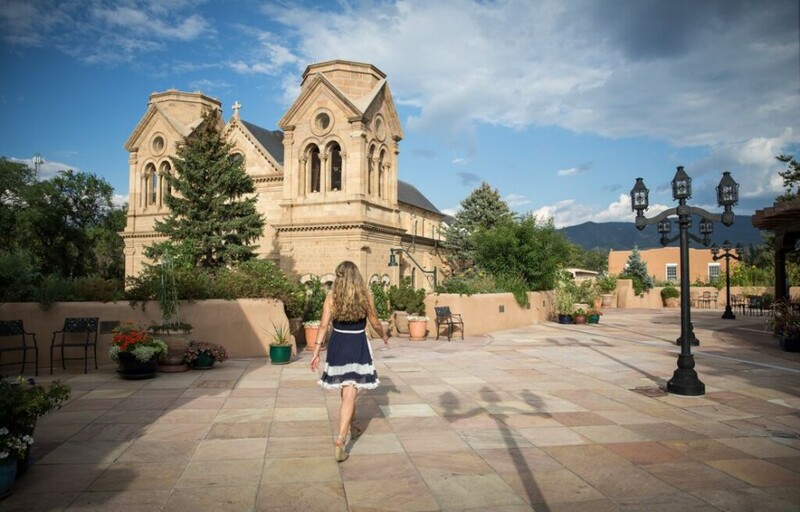 Santa Fe is not only the oldest European city west of the Mississippi River; it’s the oldest capital city in North America, dating to 1610. 8. Doc Holliday was once a dentist in Las Vegas, NM — and shot a guy. The Atlanta native came west in 1879 on doctor’s recommendation. The soon-to-be gunslinger was dying of tuberculosis and was told that the high, dry air of New Mexico would help his condition. Dentistry morphed into a saloon and the hard-drinking, smartly dressed womanizer quickly found himself at odds with a former army scout by the name of Michael Gordon. 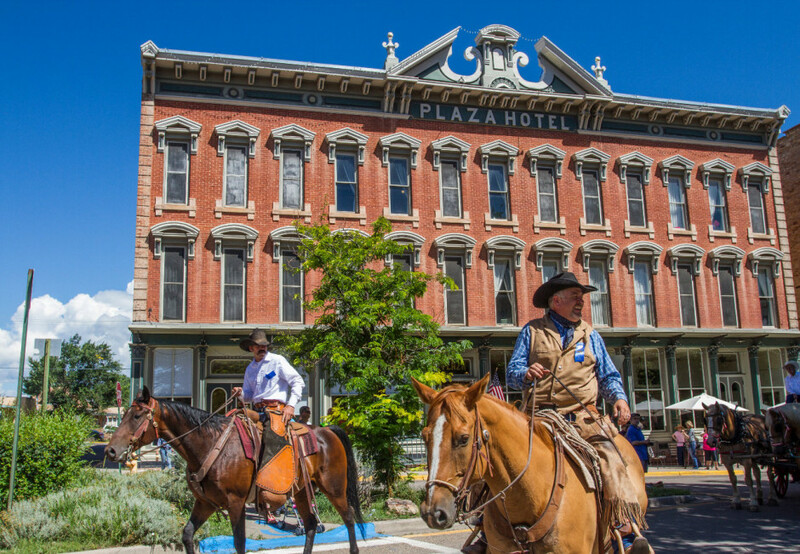 After an altercation over a dancer at the saloon, Gordon stepped outside, pulled his gun, and proceeded to shoot up Holliday’s saloon. Doc dropped him with a single bullet. The next year, Holliday sold the saloon and moved to Arizona with his friend Wyatt Earp. 9. Smokey Bear is from New Mexico. Although we now know that aggressively fighting forest fires may not be the best way to manage our nation’s forests, during World War II Smokey was invented to help educate the American public about the dangers of wilderness blazes. The living symbol of Smokey was actually a black bear cub found by firefighters from Taos Pueblo in southeastern New Mexico during the massive Capitan Gap fire of 1950. Smokey lived at the National Zoo in Washington, DC until his death in 1976. Oh. And it’s Smokey Bear. Not Smokey the Bear. Just sayin’. 10. The first atomic bomb was exploded in New Mexico. On July 16, 1945, the very first atomic bomb was detonated in the desert sands of the Jornada del Muerto in south-central New Mexico. Known by its code name, Trinity, it was of the same design as the bomb dropped on Nagasaki, Japan, a few weeks later. The Trinity Site is located on the White Sands Missile Range and is now a National Historic Site. 11. It’s one of the youngest American states. We may have the oldest continuously inhabited towns on the continent. We may have the oldest capital city in North America. But New Mexico is one of the youngest states in the nation. Despite meeting all the criteria for statehood several decades before, fear of New Mexico’s predominantly Catholic and Hispanic population kept it from becoming admitted until 1912. 12. The Wilderness Act was born here. When President Lyndon B. Johnson signed the Wilderness Act into law in September, 1964, few were aware that America’s landmark conservation legislation originated in New Mexico. Ecologist and Forest Service ranger Aldo Leopold achieved the first official Wilderness Area in the nation by gaining designation for the Gila Wilderness in New Mexico. Today, the state is blessed with some of the most diverse and stunning protected wilderness in the US. 13. Idiots are not allowed to vote in New Mexico. The New Mexico Constitution officially bars “idiots” from voting. Now keep in mind that back in the day the term “idiot” referred to those suffering some sort of mental illness. The usage has changed over the years to be sure, making this outdated law a rather amusing one. But just imagine…what if idiots couldn’t vote…or at least run for office. 14. …Oh, and you can’t legally dance while wearing your sombrero. I know you were thinking about it, but don’t. Step away. Back down. Just say no. Dancing while wearing your sombrero might land you in jail here. 15. About 75% of New Mexico’s roads are unpaved. New Mexico is the nation’s fifth largest state. Such a vast expanse is difficult, not to mention expensive, to fill with paved roads. And we don’t want that many paved roads anyway. Our gravel and rutted dirt routes make this the perfect place for solitary backcountry exploration of our endless list of sweet spots. Just be sure to bring a shovel and jack…just in case. 16. New Mexico has more cows than people. With under 20 people per square mile and around 13,500 ranches covering over 60% of the state, there’s way more livestock in New Mexico than people. So head out on those unpaved roads, commune with the cattle, and watch the Milky Way float overhead in our crystal clear skies. 17. It’s home to the largest hot air balloon festival in the world. Every October, over 500 hot air balloons — and tens of thousands of balloon aficionados — gather for the Albuquerque International Balloon Fiesta, which began in 1972 and has grown every year since. One reason pilots love to fly Albuquerque is because of the Box — a set of predictable wind patterns that set in as autumn creeps towards winter over the Rio Grande. The Box allows balloons to fly north at low elevations and then cruise back south at higher elevations. It’s quite a sight.